Twin town and sister city relationships are essentially formed by the civil sector; i.e., on citizen initiatives. Though formal cooperation is established by the local councils, the relationship will only be sustainable and successful if it is supported by private persons, institutions, organisations, and eventually, the business sector. Equality is the foundation of twin town relationships, and and it influences all actions, intentions and future plans, right from the beginning of the official relationship. The local government represents its citizens as the first among equals and as such, it strives to harmonise and - if possible - support a wide variety of activities throughout the relationship. The Council of European Municipalities and Regions monitors the number of twin town relationships between European settlements and local governments. The total number of registered relationships in all countries is approximately forty thousand. However, as every relationship is built between at least two partners, the current number of European twin town relationships is probably about twenty thousand. 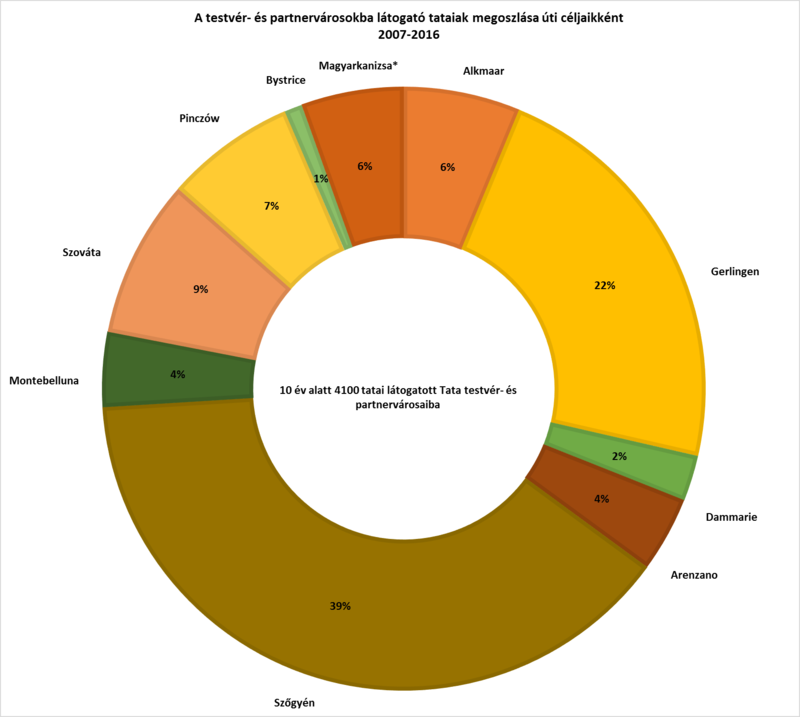 A remarkably, according to the 2010 data from twinning.org, operated by the council, Hungary is the second most active European country in forming relationships, an impressive fact, considering the number of inhabitants. (The top spot in this comparison goes to Estonia.) Tata, with twenty-four thousand inhabitants and 9 twin town relationships, is well above the Hungarian average of 1.7 relationships per ten thousand inhabitants. The history of our twin town relationships goes back to before the democratic transition in 1985, when the town council at the time decided to establish cooperation with the Dutch town of Alkmaar. To the best of our knowledge, it was the first twin relationship between Hungarian and Dutch towns. Nearly two years later, the town council formed twin town relationships with the German town of Gerlingen in 1987. In retrospect, our town's first few steps toward building relationships with European neighbours can be clearly seen internationally as a political step; a pre-indication of the imminent political changes to come, despite the fact that all activities and developments in the relationships were closely monitored by the socialist regime. After 1990, twin town relationships significantly opened the Eastern European countries to the West,introducing them to the peoples and cultures of their western neighbours . Eventually, this served to promote expansion of the European Union. 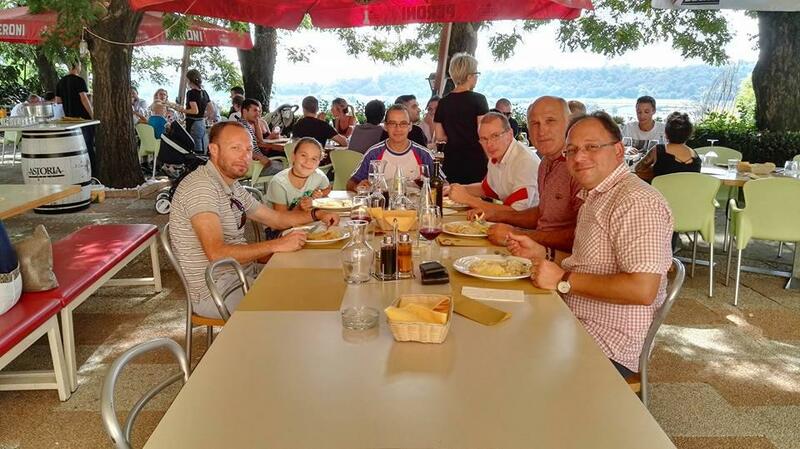 Thereafter, our existing twin town relationships have grown stronger, and our town’s first freely elected local government entered into a cooperation agreement with two new towns: Dammarie-lès-Lys in France, in 1993 and Arenzano in Italy, in 1994. At the turn of the century in 2000, we also managed to create a “twin town triangle”. 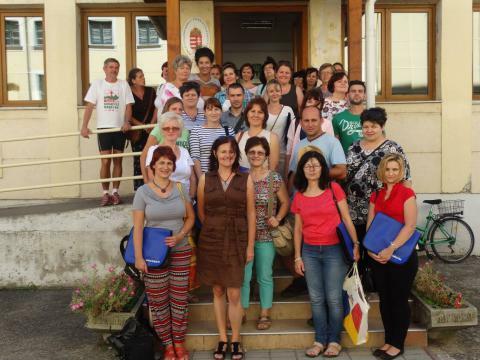 We established official relationships with Montebelluna, the Italian twin town of Dammarie-lès-Lys. In 2004, our twin town relationship with Pińczów became official. The motivation behind establishing twin town relationships with Alkmaar, Gerlingen, Dammarie-lès-Lys, Arenzano, Montebelluna and Pińczów is to recognise the necessity of mutual understanding, respect and cooperation between nations of different languages, cultures, history and heritage. Forming a relationship with Slovakia's Szőgyén (Svodin), Romania's Szováta (Sovata) and Serbia's Magyarkanizsa (Kanjiža) (in 1997, 2002 and 2012, respectively) was inspired by our shared history, language, culture, heritage, and last but not least, our duty to support Hungarians outside of Hungary. (It is a well-known fact that following the 1920 Treaty of Versailles after WWI, Hungary lost more than two-thirds of its territory and more than half of its population. Szőgyén, Szováta and Magyarkanizsa were also among the many settlements surrendered to foreign control following the peace treaty signed in the Grand Trianon Palace. In 2005, a meeting was organised between the Visegrad Four (Hungary, Slovakia, Czech Republic and Poland), the mayors of Tata, Szőgyén, Pińczów and Bystřice nad Olší in the Czech Republic to sign an agreement to support efforts aimed at establishing relationships between their settlements and micro-regions through their initiatives and participation in cooperative activities. With this, our town became part of the V4 cooperation. In the same year, Tata became part of a new twin town triangle after Szőgyén and Pińczów signed an agreement. Indeed, twin town activities of our town's various communities are reflected in number terms as well. As seen in data from recent years, various groups and delegations from our twin towns visit Tata 30-40 times each year, and in doing so, 20-30 opportunities are offered for Tata people to reciprocate those visits. In the last 10 years, over 600 visits in total have occurred between Tata citizens and those from our twin and partner towns. It must be noted that, due to the two “twin town triangles” and our V4 cooperation, it is often necessary to meet the representatives of a given twin town in a third country - in one of our shared twin towns. 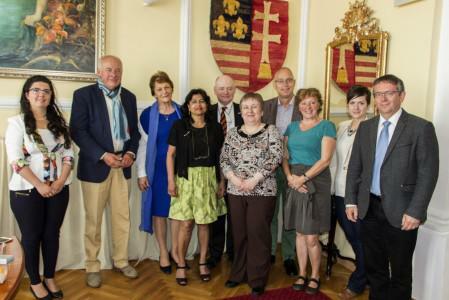 In recent years, 800-1,000 people have participated in the “town twinning movements” every year. As shown in data from the last ten years, the enclosed diagrams demonstrate the extent of participation of a given twin town in this movement. (Note: Magyarkanizsa has been our twin town only since 2012, and with Bystřice we maintain Visegrad cooperations, as opposed to twin town cooperation). We have found, that in the last ten years, we hosted guests from Szőgyén and Gerlingen the most frequently, and they were also the towns most visited by Tata citizens. The former mayor of Dammarie-lès-Lys, Jean-Claude Mignon, a former president of the Parliamentary Assembly of the Council of Europe, informed us of the Europe Prize application system in 1998 and assisted us in taking our first steps leading to the four-step road to eventually winning the prize. An event organised in Dammarie-lès-Lys in January 2007, led Tata’s leadership to UNICEF’s Child Friendly City initiative, which was joined by Tata’s local council a year later, in 2008. Autumn's “public hearing for children”, forming part of the Child-Friendly City action plan, was inspired by the “children’s parliament” in Dammarie-lès-Lys. 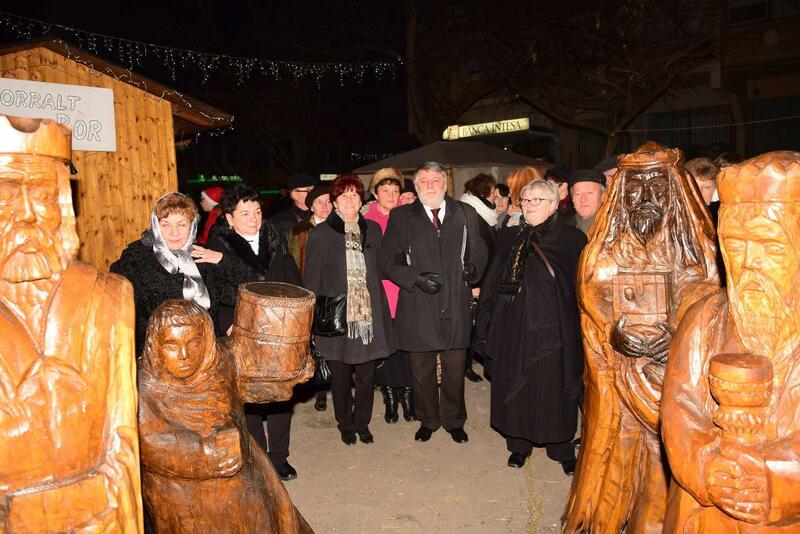 The idea of the traditional Cart-Pushing Festival organised in Kocs, was adopted from a similar event in Montebelluna, called the “Palio.” Municipal leaders in Kocs met with Montebelluna’s leaders on the Pentecost of 1998, at a major twin town event in Tata. The latter participated as a “cousin” back then, as the Italian twin town to Dammarie-lès-Lys. The first Cart-Pushing Festival in Kocs was organised in 1999, while Tata and Montebelluna became twin towns in 2000. The cart-pushers of Kocs, Montebelluna and Tata continue to compete regularly in terms of speed and strength in both the Italian and Hungarian cart-pushing competitions. 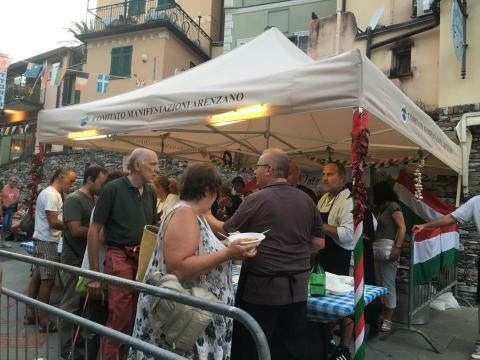 Arenzano’s early autumn sports event called, “Mare e monti” (Sea and Mountains) was adopted by the International Marching League as one of its official events. Though our Ligurian twin town has previously hosted guests from Tata during its most renowned sports event, the first official invitation was sent from Arenzano to our cooks in 2001. The “goulash ungherese”, made of ingredients provided by the Italian organisers and based on a Hungarian recipe, has been a success among sportsmen from all over the world as well as the local population for fifteen years. Ever since 2001, cooks from Tata have travelled to Mare e monti every year,including restaurant chefs, nursery kitchen chefs and talented amateurs alike. Our local government encourages Szőgyén’s Hungarian elementary school pupils to learn more about their cultural heritage by organising an annual historical and language competition. This year’s competition was the sixteenth so far. During the end-of-the-year speech, our local government awarded valuable books (ten thousand HUF each) to the pupils of Csongrády Lajos Hungarian Language Elementary School, who excelled in their Hungarian language studies: 3 elementary school pupils of grades 1-4 and 3 in grades 5-8. In late August, - with the help of the Fazekas utca member institution of Kőkúti Elementary School - we hosted teachers from Szőgyén Slovakian elementary school and the Csongrády Lajos Hungarian Language Elementary School for a professional exchange. Teachers from Csongrády Lajos Elementary School also visited the school on Fazekas utca in November, for a professional event. For the seventh time, our local government participated in the Rákóczi Association’s enrolment programme this year, in the Southern part of Slovakia, which encourages Hungarian-speaking families to enrol their children in schools where the Hungarian language is used. Our support of HUF 170,000 helped 17 Szőgyénian kids’s enjoy their first days at school. The Hungarian Parliament enacted the Day of National Unity. The 4th of June commemorates the Versailles Peace Treaty that ended WWI. 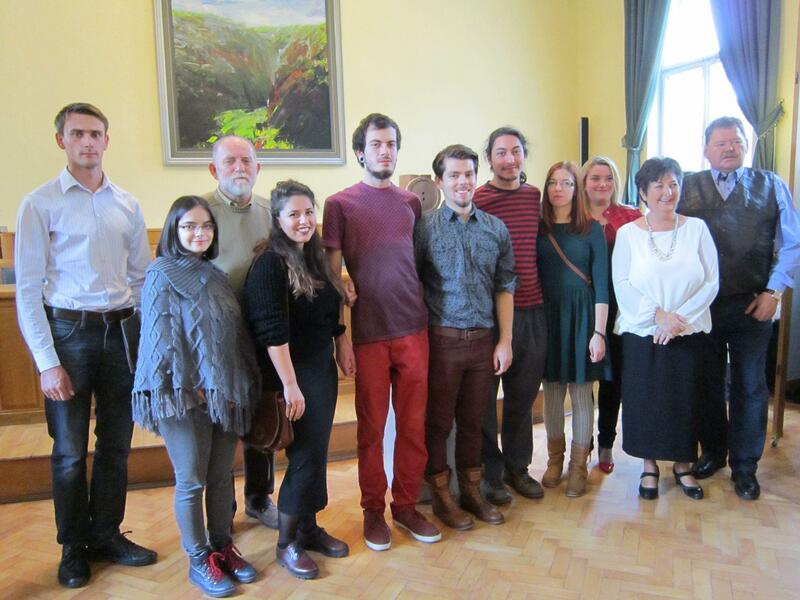 On this day, we remembered it together with the representatives of our Hungarian twin towns. Our guests contributed to our town celebrations and visited events organised by our schools. Following these events, the Tata-Szőgyén Youth Cycling Tour VI was organised by the local government and the Town’s Student Association. 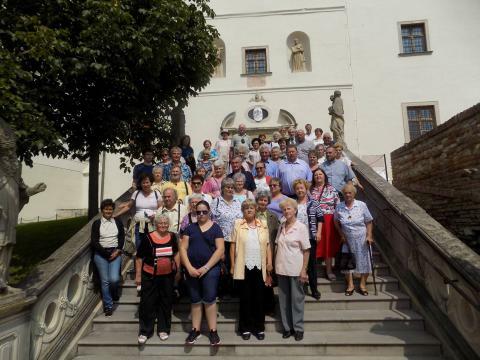 Our local government donated HUF 1 M for maintaining the Marianum House in Szováta, and another HUF 1 M for restoring a church struck by lightning in Atyha, close to Szováta. 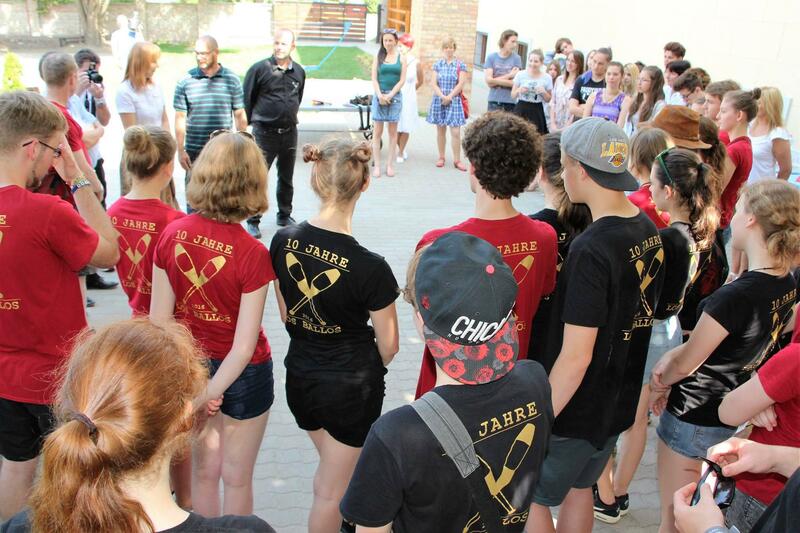 This year, the Los Ballos Special, the 27-member juggler group of the Robert Bosch High School in Gerlingen performed several times at the traditional Water, Music, and Flower Festival at the end of June. 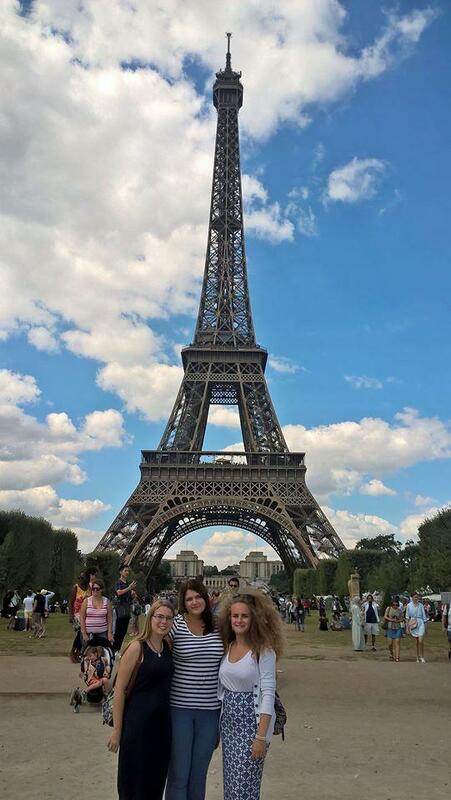 The Talentum School made significant contributions to hosting German youngsters. 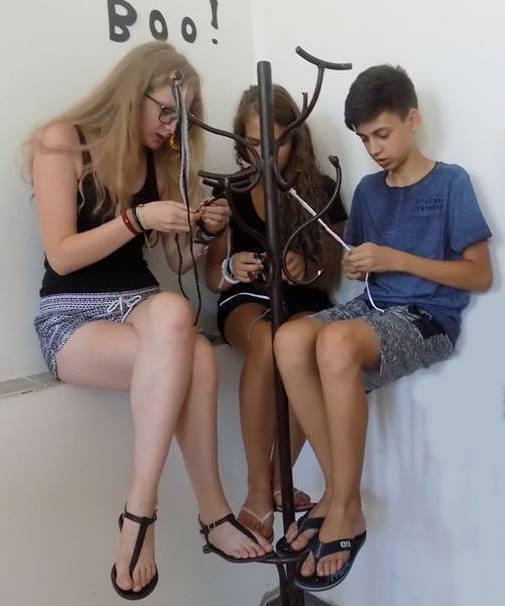 It was our fourteenth time of organising the August Artistic Talent Camp for children and young adults from Tata, Szőgyén, Szováta and Magyarkanizsa. This camp's objective is to raise awareness of our shared nationality and culture, through childrens' natural affinity for the arts. 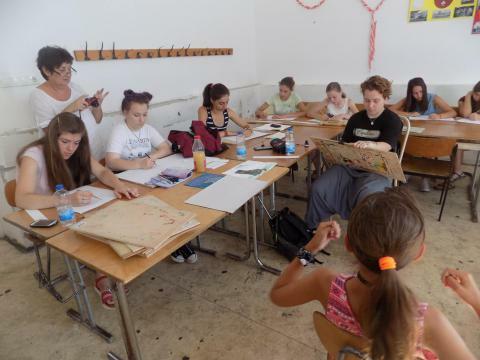 The children (6 from each town) participated in activities in fine arts and craft sessions, with artists from Tata, Szőgyén and Magyarkanizsa leading the way. The programme also featured a town-tour, sailing and literary games, and concluded with a joint exhibition. 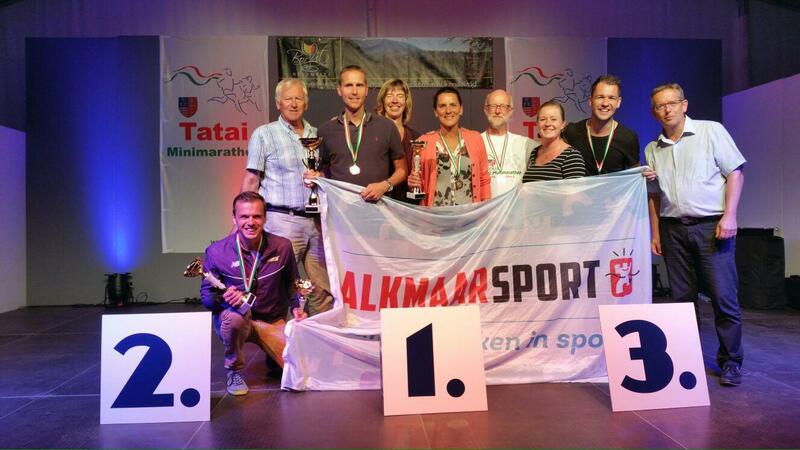 In all, 58 twin town guests attended the 33rd Tata Minimarathon, a 14 km run. The runners arrived from Alkmaar, Gerlingen, Arenzano, Szőgyén, Szováta and Magyarkanizsa. To this day, this was the most successful minimarathon, at least from the point of view of a twin town, as every delegate took home at least one medal. The exhibition called “TASZŐSZOMA” opened its doors to the public on the 15th of October in Szováta, organised by the local government. The title is an acronym, referring to the names of four towns: Tata, Szőgyén, Szováta and Magyarkanizsa. The exhibition displayed eight works, mostly from art students and former participants of the Tata Artistic Talent Camp. In addition to the young artists, representatives of all four towns were present at the opening ceremony - proving for the second time this year, this time in Transylvania, that Tata and the four Hungarian twin towns on the other side of the border belong together. The mayors of Tata's micro-region participated in an extremely successful professional trip to Gerlingen in mid-November. The delegation, hosted by the Gerlingen local government and led by the mayor, Mr. Georg Brenner and a representative, Mr. Horst Arzt, gained insight into how German municipalities are run, and visited educational and social institutions and the Ludwigsburg Landrat.